When it comes to simpler geometries, WorkNC has you covered. 2D cutterpaths on curves or surfaces are combined with automatic and manual hole programming functions to provide a complete solution for prismatic parts, or any and all of your hole boring needs. 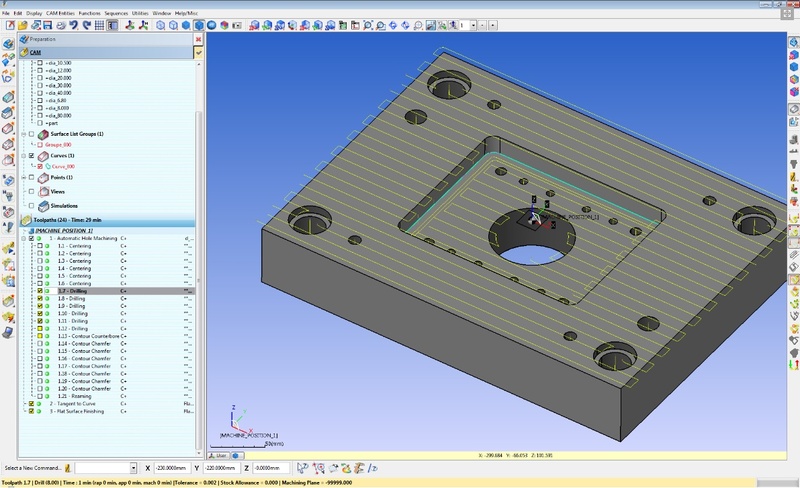 With the WorkNC 2D license, you get the power and reliability of global roughing, 2D toolpath on curves or surfaces, and automatic and manual hole programming functions in one package. WorkNC contains 2D curve machining functions for machining directly from independent 2D entities or curves extracted from 3D models. To make programming even faster, many of the 2D functions can be done directly on a solid face without the need to extract curve geometry.